South Africa’s part-time soldiers contributed more than 2,5 million mandays to the collective national defence effort in the year ending March 31. This was over 49 000 more than in the previous financial year when 2 425 064 mandays were logged by the men and women of the Reserve Force Major General Roy Andersen, Chief Defence Reserves, said. The mandays were provided by calling up 14 735 Reserve Force members who each contributed an average of 175 days service during the 12 month period. The major reason for the increased number of mandays is manpower needed for the national border protection tasking, Operation Corona, as well as two SA Army projects. One of these is Project Koba-Tlala driven by SA Army Reserves under the leadership of Brigadier General Gerhard Kamffer and the other is the Vaal River Project, under the leadership of the SA Army Engineer Formation. Andersen said there were currently 355 members of the Reserve Force engineer unit called up and working on the Vaal river project. Indications are this will increase to 500 as repair and refurbishment work of water infrastructure gains impetus. Included in the 355 are four qualified civil engineers who provide skills in terms of the Reserve Force “pool of specialists”. 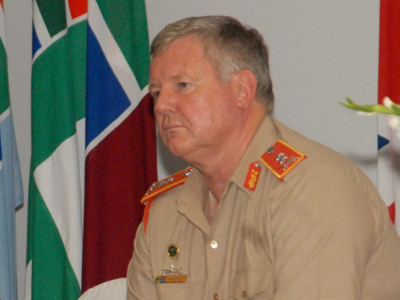 Probably the widest-known example of this came in November 2017 when it surfaced that SA Irish Regiment honorary colonel Brian Molefe was called up to assist the Department of Defence (DoD) with “regard to strategic SANDF issues in the asset management and financial structure and architecture domains”.